Dr. Annette Bosworth, a physician practicing in the Sioux Falls, South Dakota area, is one of several Republican candidates for the U.S. Senate seat currently held by Sen. Tom Johnson, a Democrat who has decided to not run for re-election in 2014. Bosworth is also the founder of Preventive Health Strategies (PHS), a 501(c)(3) organization founded in 2011 that provides medical services and supplies to people in need. It’s not unusual for either physicians or politicians to engage in charitable activities and even start nonprofit organizations. Bosworth’s organization, however, has faced problems over its fundraising practices. Preventive Health Strategies successfully raffled 500 acres of farmland to raise funds, then proceeded to hold several other raffles for land and vehicles that were not successful. 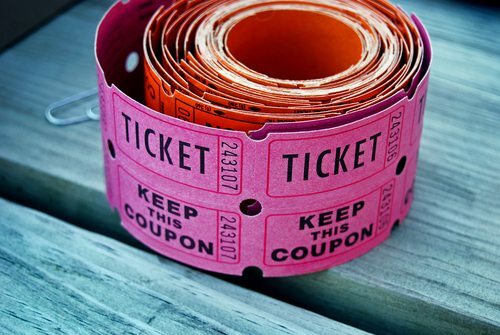 It’s hard to know the truth of the matter, but there are complaints and cross-complaints from people who purchased raffle tickets for raffles that were never held, and from the nonprofit saying that people who had not purchased raffle tickets were falsely claiming refunds being offered voluntarily by the charity. The confusion is intensified because Bosworth accuses a fired employee from her medical practice of stealing records documenting who bought raffle tickets and what they paid for them. The fired employee denies the theft allegations and has been pursuing an employment-related complaint against Bosworth since her termination in 2012. PHS has appealed to the South Dakota Attorney General’s Office to assist it in processing raffle ticket claims. Bosworth’s personal, professional, and charitable activities are scrutinized in the newspaper article, with questions in each activity magnifying the concerns about questions in all activities. PHS’s 2011 IRS Form 990 cites a mission to “promote a healthier South Dakota,” but up to 90 percent of its reported expenses in 2011 appear related to delivering medical care and supplies to Haiti. The PHS website included in their 990 and referenced on GuideStar, preventivehealthstrategies.com, resolves to meaningfulmedicine.org, which appears to serve both Bosworth’s medical practice and PHS’s charitable endeavors.